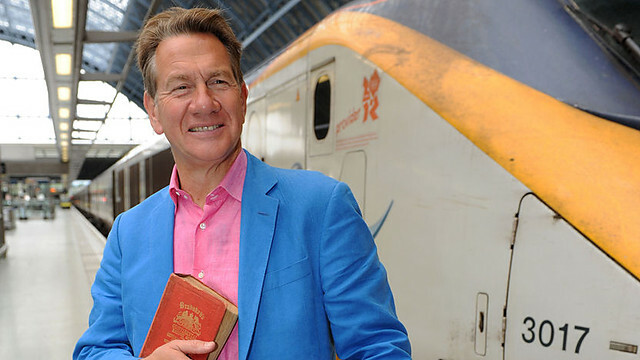 Michael Portillo continues his exploration of Great Railway Journeys by venturing into Europe. This five episode series is being shown on Thursday evenings at 9pm on BBC 2 and BBC HD. Leaving London behind, armed with his 1913 Bradshaw railway guide, Michael Portillo follows the most popular route of the Edwardian traveller through France. His first stop is Paris where he absorbs the atmosphere of La Belle Époque, before he travels south to the Cote D'Azur where he samples the Edwardian highlife and learns why the area attracted the rich and artistic alike. He then ends his journey as he arrives at the gaming tables in glamorous Monte Carlo. You too can follow in the footsteps of Michael Portillo. Ffestiniog Travel provides a comprehensive ticketing service for European rail journeys. As in the BBC Documentary the journey starts in the grand St Pancras terminus in London. Eurostar then takes you via the UK's only high speed line to the channel tunnel and onto Paris. A change of train, and station, is required in Paris before boarding the French TGV (Train à Grande Vitesse) which whisks you to the south of France. Journey time from London to Monaco (Monte Carlo) is 9 ½ hours and fares start from £145.00 for a return ticket in second class.